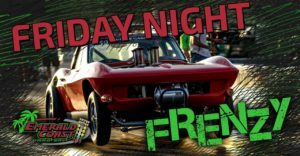 Friday August 31st– Friday Night Frezy-All welcome all run Friday Frenzy test & tune. Enjoy an excellent racing surface along with good people, good food and good times! Gate open at 5pm, track hot by 6pm and we race until 11pm, price will be $15 at the gate for crew & spectators or $25 car & driver. Saturday September 1st–Rim Racing Nationals– Black Flag Tire Company presents Rim Racing Nationals! Class racing, grudge racing, donk shootout, G-body shootout, car show on the track, car show in the pits, no cost to race and money to be won! Gates open at 10 am, $20 at the gate, kids 12 and under free.